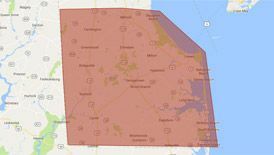 Peninsula offers top-of-the-line plumbing services to families in Bishopville, DE and all across the Delmarva Peninsula. Check out our list of plumbing services below or give us a call today to speak with one of our knowledgeable staff members! Peninsula is a locally owned and operated plumbing company headquartered in Seaford, DC. Our licensed plumbers provide expert residential and commercial plumbing repair and replacement services throughout Bishopville. There’s nothing worse than running a faucet and watching water fill up the sink or tub. Clogged drains are an extremely common occurrence in homes throughout Bishopville, DE, and while they can be a huge pain, they’re no problem for the expert plumbers at Peninsula! If you have a clogged drain, don’t reach for potentially damaging chemical drain cleaners—call us! Your water heater is one of the most important appliances in your home. Make sure it works properly by calling Peninsula! We provide all kinds of water heater services, including installation, repair, replacement, and ongoing maintenance. Whether you have a gas, electric, or tankless water heater, call Peninsula for water heater services in Bishopville! You really can’t get anything done in your home if your toilets, showers, and faucets aren’t working properly. So call Peninsula! We provide fast, friendly, and reliable toilet, shower, and faucet repair services throughout Bishopville. A leaky pipe can do major damage to your home. Peninsula provides a number of pipe repair services, including leak detection, sewer line repair, polybutylene pipe replacement, and more. Call us today! Need plumbing services in Bishopville, DE? Call Peninsula today – 302-629-3001302-629-3001! 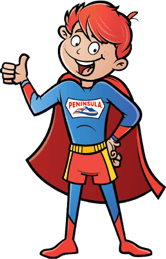 At Peninsula, we’re dedicated to providing top-quality plumbing services to families across the Delmarva Peninsula. Contact us today! Need Emergency Service? Call the Pros! If you have an emergency situation, we’re happy to help you. Our plumbing professionals are experts at getting your plumbing system fixed quickly, so you’ll never be stuck with a watery emergency for long. A Peninsula plumbing expert will be at your home in no time, ready to fix your emergency. Contact Peninsula today for emergency HVAC services! So relax. You’ve come to the right place. You can count on our family to keep your family secure. It’s what we do! To find out more about plumbing services in Bishopville, DE, contact us today!